!! 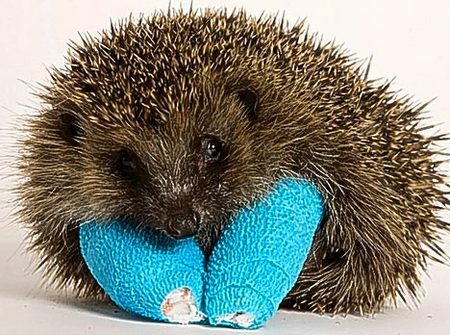 OMG, how cute: Injured baby hedgehogs !! These adorable little babies are “too weak to hibernate” because they were abandoned by their parents in bad weather. So instead of sleeping, they are walking around in cute little neon casts healing their broken bones at Tiggywinkles Animal Hospital in England. I want a broken baby hedgehog! Or maybe just a plush animal version. 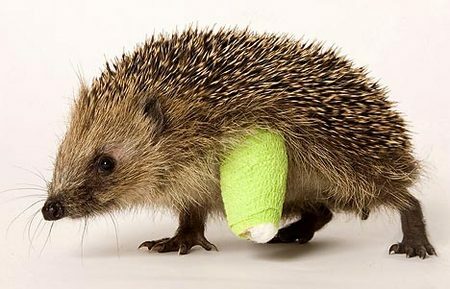 3 Comments on "OMG, how cute: Injured baby hedgehogs"
Frank! I don’t know if this is the same place, but I went to a hedgehog farm in Lincolnshire with my friend sonja. Her friends momma runs it out of an old post office. Anyhow, it’s jam packed with sick little hedgehogs. They’re the smelliest things ever but so goddamn cute. ps: I voted for you!! Is this maimed-flattened-battered (and I don’t mean beer battered) animals.com now?